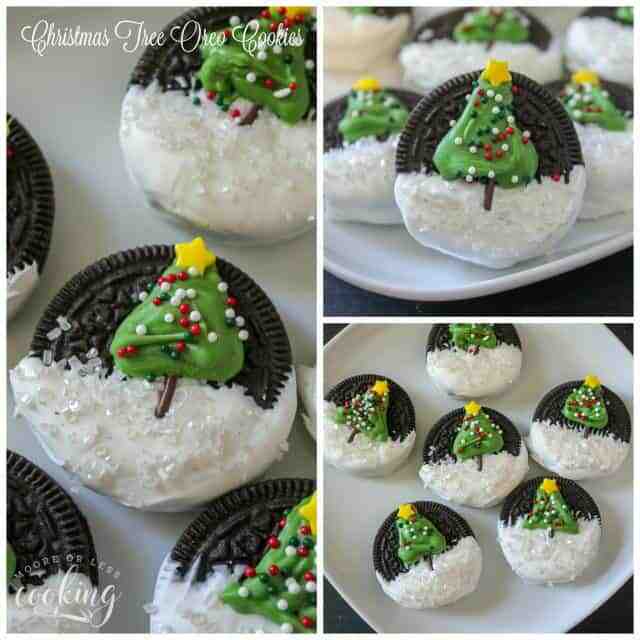 Your Cookie tray will look festive and bright with these Christmas Tree Oreo Cookies. 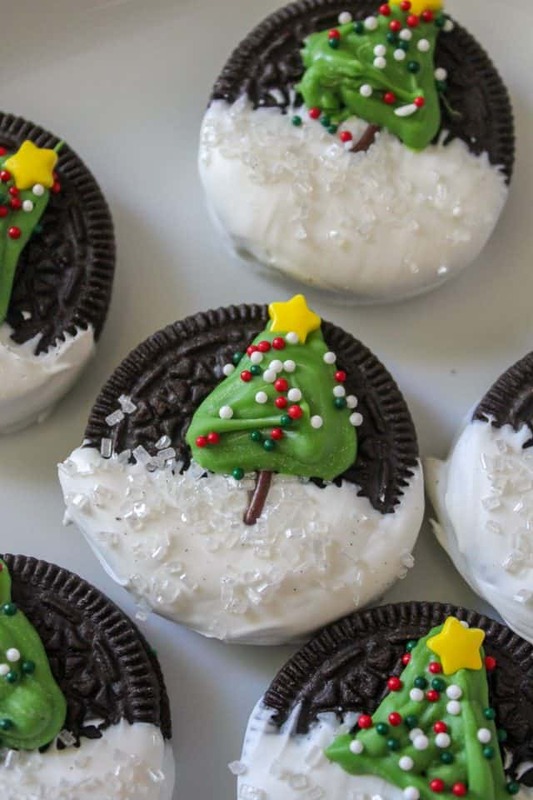 The fun thing about these cookies is that you can decorate them any way you like and they will be beautiful! 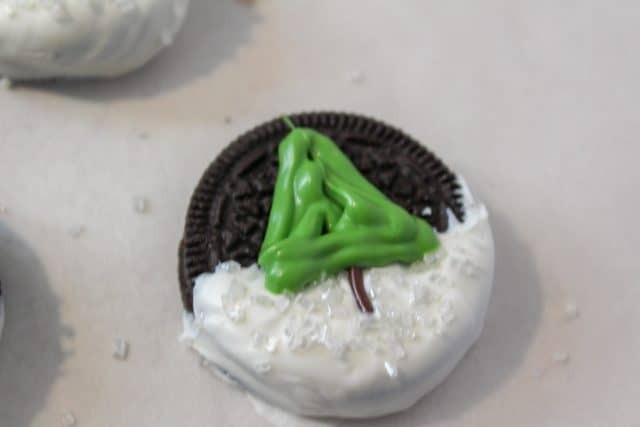 Since Christmas will be here soon, I wanted to create a simple cookie that can be decorated! 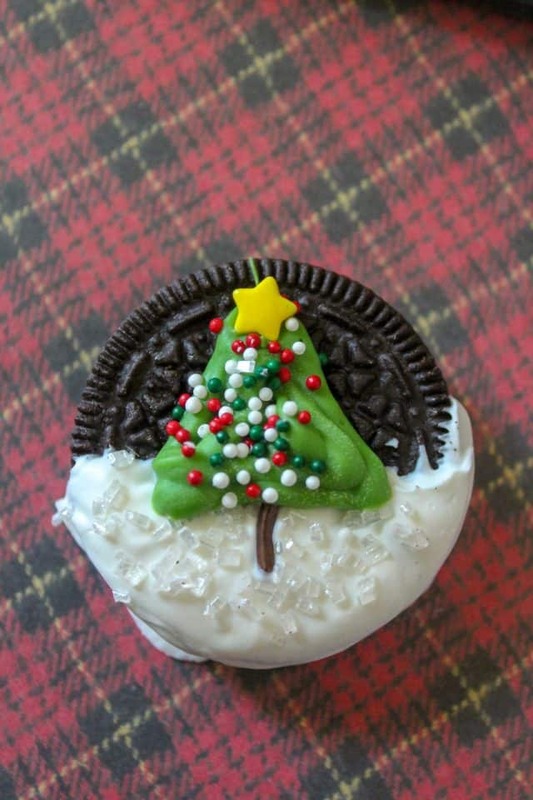 So cute with the Christmas Tree in the snow and a bright shining star on top! 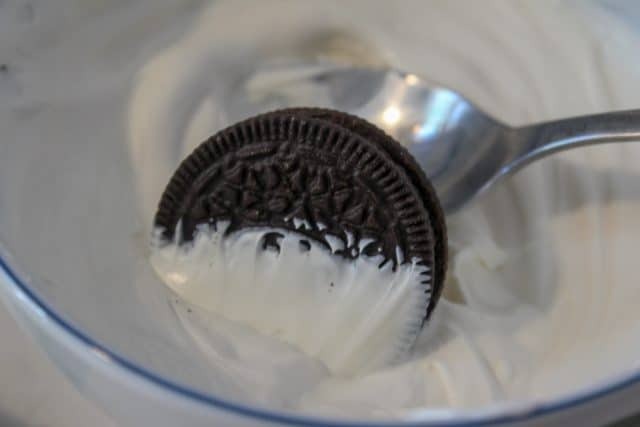 Everyone loves Oreo Cookies, well, everyone in my family does! 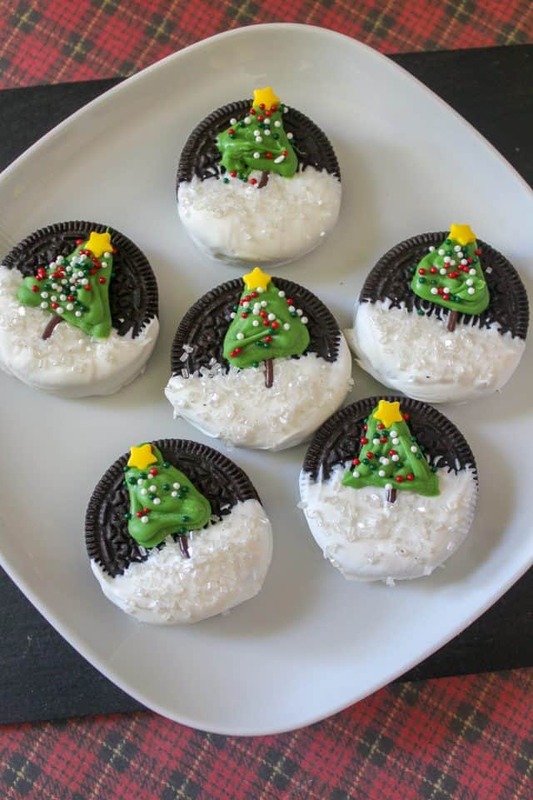 These will be a hit at your holiday party or on your Christmas Cookie Platters. 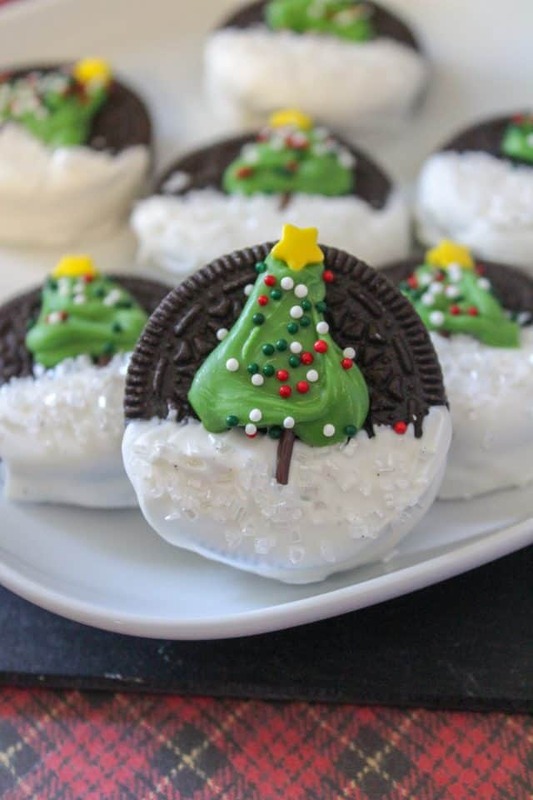 Festive and bright Christmas Tree Oreo Cookies. 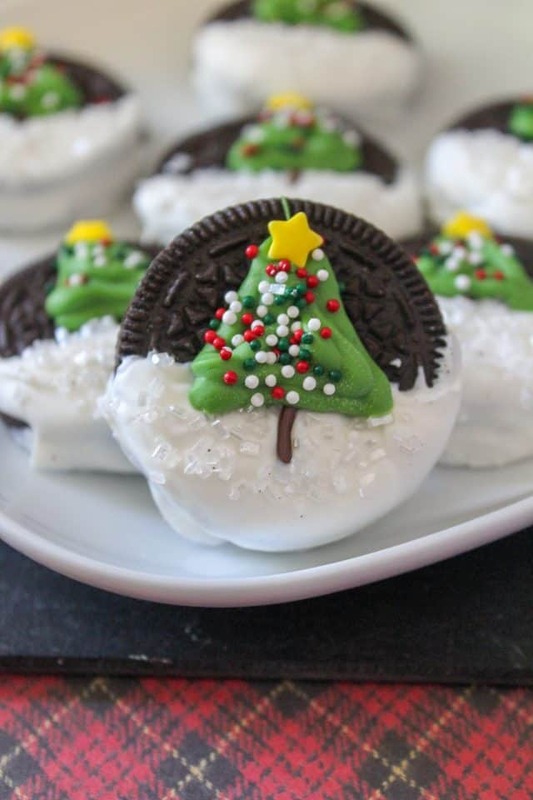 Make a tray today! Cut a small (tiny!) hole in the corner of the bag. 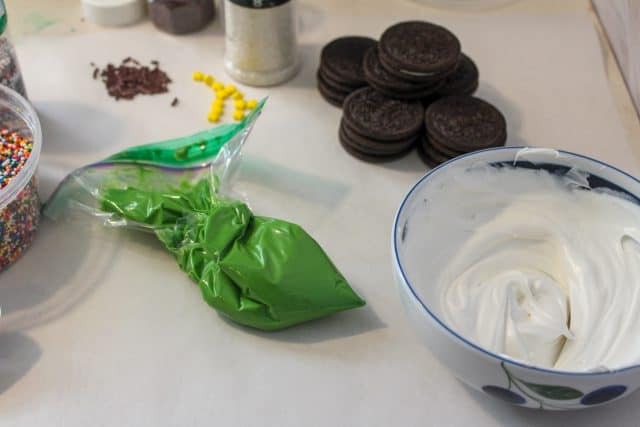 Sprinkle with the white candy melts. Allow to sit for a few minutes to set.